Mucus is icky. Germy. Slimy. Gross. Nobody wants to touch snot! But what is snot, and why do we have it, anyway? Our lowly snot is actually really important: it helps to keep us healthy. 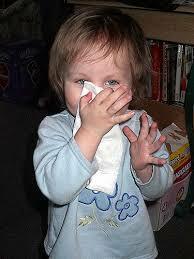 Snot, otherwise known as mucus, is a secretion created by the body. As we breathe air in through our nose, the sticky mucus that lines it catches bacteria, dust, pollen, and other tiny bits of debris in the air. Then, without our even feeling it, specialized cells move the mucus to the back of the throat. This “conveyor belt” activity comes from the movement of cilia, which are like little fingers on the surface of the cells that wiggle backward to move the mucus along. Once this snot, with all its trapped shmutz, makes it to the back of the throat, you swallow it. Really. And then the acid and enzymes in the stomach and digestive tract can break it all down. Even when we are feeling well, we make a lot of snot. The nose and sinus cavities of a healthy teenager or adult produce about 1 liter of mucus per day! At this rate of production, we are not usually aware of it. But we feel like we have a snotty nose when an upper respiratory infection (like the common cold) or allergy trigger causes the nasal lining to increase the rate of mucus production. This change is a part of the body’s response to infection or irritation and helps to clear the problem. If a person’s mucus overproduction is being triggered by allergies, antihistamines are a type of medication which can help to decrease the amount of snot. If a person is making the mucus because of a bacterial infection, antibiotics can decrease the amount of bacteria and slow mucus production. (Antibiotics won’t help with a viral infection, though.) Used appropriately, medications shouldn’t keep the body’s immune system from otherwise responding to and resolving the irritation or infection. There are also old-fashioned ways to deal with a snotty nose. Just blowing your nose is very helpful, not just to stop drippiness and make you more comfortable, but also because it helps get the trapped “junk” out of the body more quickly. If the mucus moves to the back of the throat too slowly, bacteria stuck in the mucus might have more time to proliferate and worsen the problem. Saline drops or spray in the nose can thin the mucus so that it moves more easily. When you feel that mucus is caught in the back of the throat and won’t come out, there may also be inflammation in the lining of the throat and back of the nasal cavities. In that case, gargling with salt water can help to make the sensation go away faster. And of course, anytime you have a cold and runny nose, chicken soup can help make you feel better. Your concerns about chronic runny noses can be addressed by Dr. Seth Pransky, a pediatric ear, nose, and throat specialist (ENT) and by Dr. Alex Greiner, an allergy specialist, at Pediatric Specialty Partners in San Diego. Contact us at 858-625-0809 or through our website, pediatricspecialtypartners.com.